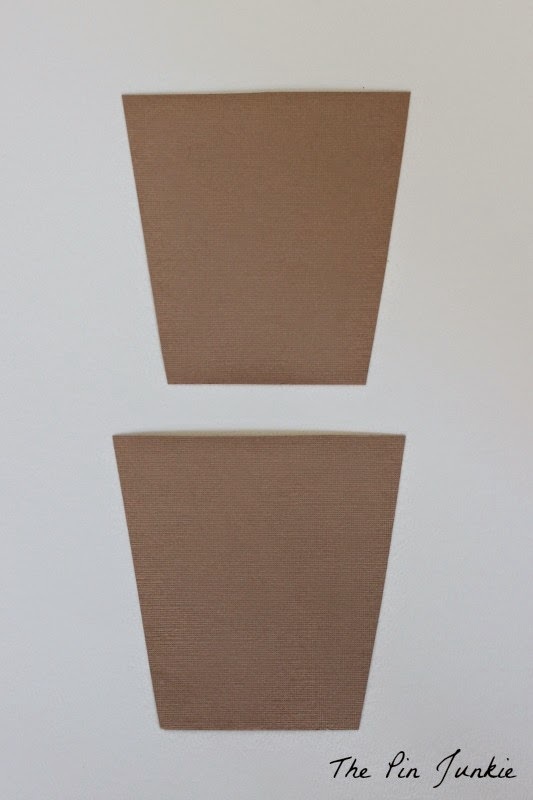 Cut out two flower pot pieces and glue them together. 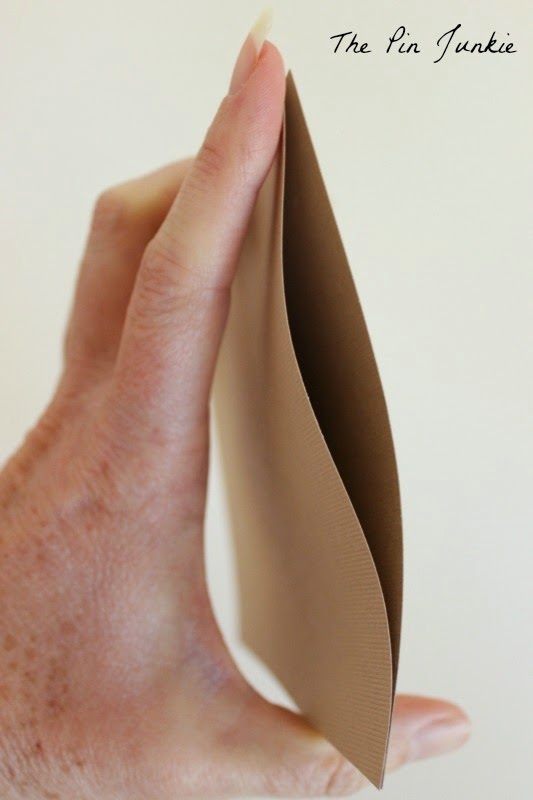 Carefully glue only the very edges of the pot to make a little pocket or envelope. Make sure to leave enough room for the card to fit inside. Don't glue the top of the pot. This is where the card will slide in and out. Cut a piece of white card stock that's three inches by five inches. 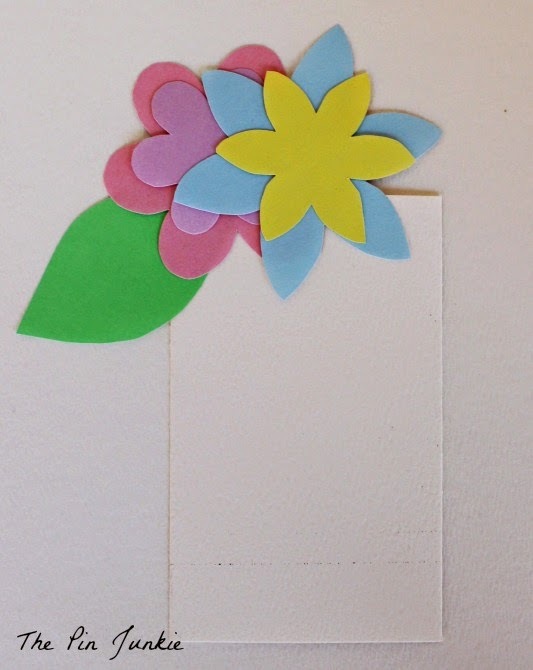 Cut out some flowers and glue them to the top of the card. For some extra decoration, I glued buttons to the flowers and added some washi tape to the rim of the pot. 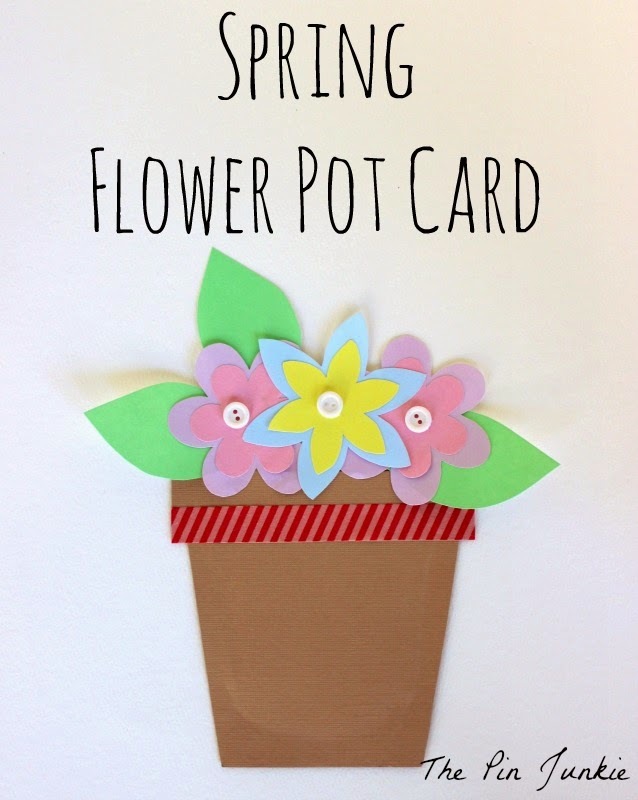 Now write a message on the white card stock and slide the card into the pot. That's all there is to it! It's that easy to make a unique card for someone special! Today's project was inspired by this pin. Here are seven more fun spring projects by some of my talented friends. Cute! I might have to get my children to make this-- a great gift for the grandmothers at mothers day or for the teachers at the end of the school year-- you could just attach a gift card to the hidden message! I like the idea of adding a gift card! So cute! 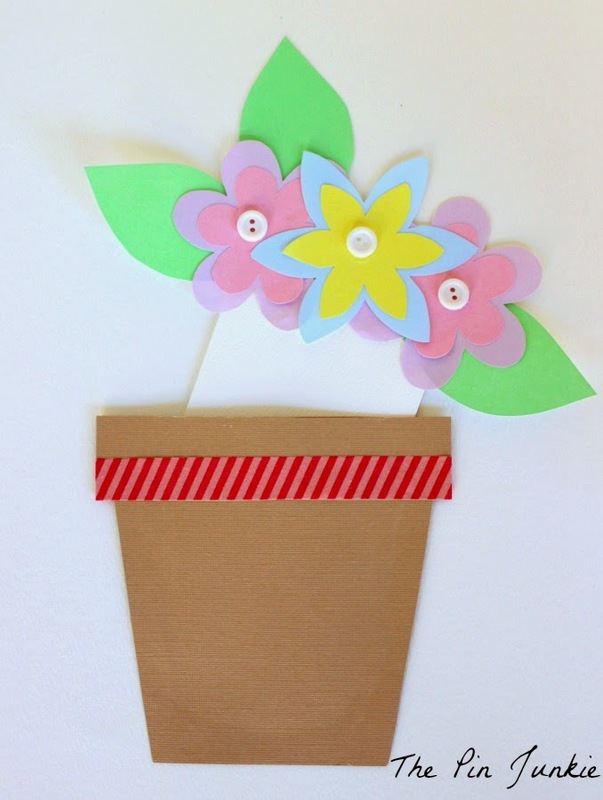 This would be perfect for the kiddos to make grandma for Mother's Day too! Such a fun, crafty project! So "spring-y"
I love this card so much! It's unique and you could put gift cards or something easily in the pocket. This card is so fun! We featured you at The Project Stash. Stop by and pick up your featured button and strut your stuff!